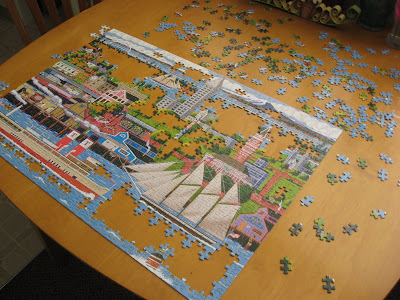 Scott and I bought a puzzle on Saturday, and then ended up spending 3.5 hours on it that night! 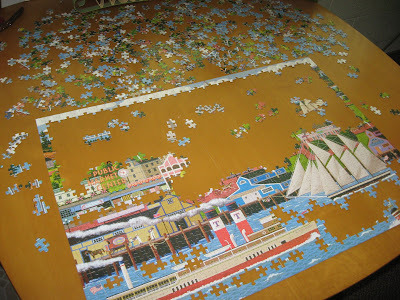 Why is it so hard to leave a puzzle sitting there unfinished? It was pretty fun to put this one together with all it's different buildings and such. How many Pieces was it? Have you tried the 3D Puzzles? they are pretty cool too.